13lbs, almost at the 1 stone mark… argh! Nothing new yet, but pay day is tomorrow and I’m hoping to get one or two bits to see me through to the end of my pregnancy. I did a blog post on pregnancy style inspiration; take a look if you want some ideas! I might do a little haul of what I buy... If that’s something you would like to see, let me know! I’ve been waking up a lot more recently, just because I’m finding it difficult to get comfy. Planning our babymoon! It’s Tom’s birthday in a couple of weeks, so we are going to Manchester for the weekend and are making that our little babymoon before Baby J arrives. Again, I’ve not had any bad moments this week! I’ve had a few twinges, but I think that’s because my bump has grown quite a bit recently. It’s also given me a sore back. To help with the health kick, I’ve re-ordered my Graze boxes, which I’m super excited about! For those of you who don’t know what Graze is, you can take a look here. As a current member, I’ve got a code that can get you your 1st, 5th and 10th box free! If you’re interested in this, let me know and I will pass on the code to you. Nothing new, still the smell of soup! As I mentioned before, I’ve had a few twinges this week as well as back pain, but I think this is my bump growing and because Baby J is a lot more active recently. I’ve had another really good week with moods, so definitely happy! Going on our babymoon and celebrating Tom’s birthday! 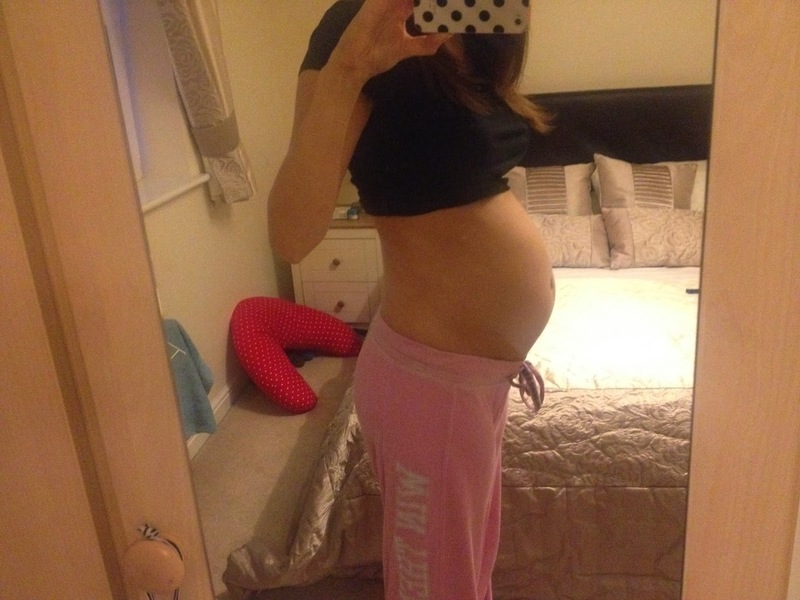 And here is the bump for 23 weeks! If you want to see my bump shots from previous weeks (I've been taking pics since I found out I was pregnant) let me know and I will do a separate post! ‘Fun Friday’ Post: Pregnancy Dreams!